All that, and Star Wars too. Busy day in the world, this 2nd of October in 1985. The Middle East factored in, with reports that the body of a missing Soviet diplomat was discovered in Beirut, and additional reports disclosed the discovery of a second missing diplomat was found behind the Soviet Embassy. And if that weren’t enough, warnings were issued by the fundamentalist Muslim (The Islamic Liberation Organization) group responsible for the kidnapping/executions, that the Soviet Embassy would be attacked next. All this as retaliation for Soviet-backed Syrian assaults on the PLO and Sunni Fundamentalists in Tripoli. Meanwhile, Soviet leader Mikhail Gorbachev arrived in Paris in what was called “French seduction”, en route to Gorbachev’s meeting with President Reagan. The Soviet leader tried to not let the Middle East drama get to him, but it was apparent it was on his mind. Gorbachev had a lot on his plate during this first series of visits since assuming power. There was also the sad news that film icon Rock Hudson died of AIDS earlier in the day, a little over a year after his disclosure of contracting the disease. If anything, brought the subject of AIDS home to just about everyone. And L.A. had another earthquake . . .
What a day – October 2, 1985, as reported on the CBS Radio program The World Tonight. Andres Segovia – leaving at 94. Doubtless, off to bigger things. 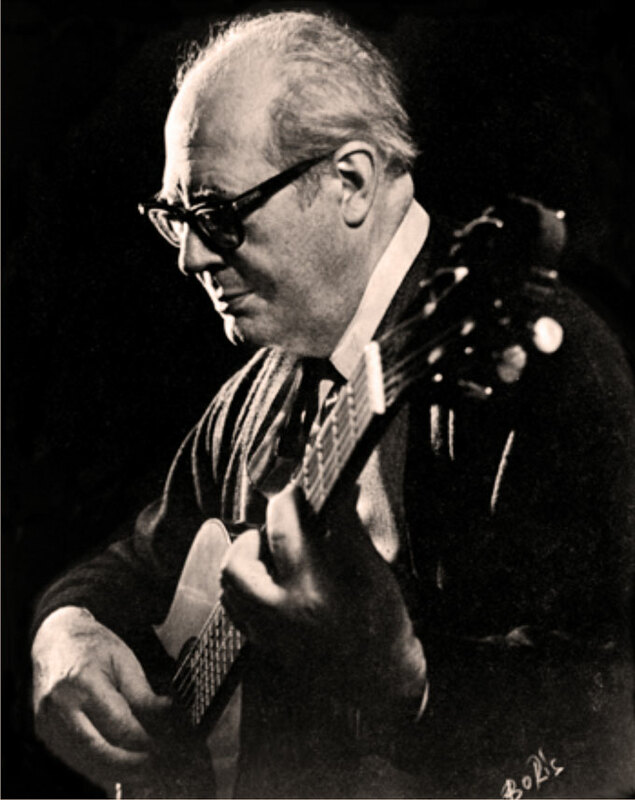 News for this day in June, 1987 was word of the passing of the legendary Andrès Segovia, whose masterful poetry of the guitar influenced entire generations of guitarists and lovers of music throughout the world, was stilled at the age of 94. Active up to the end, it wasn’t known the exact cause of Segovia’s death, but all agreed it was a magnificent life and an indelible contribution he made to the world. Less fatal but no less dramatic, was news of the abrupt departure of Fed Chairman Paul Volcker, ushering in his replacement, Alan Greenspan to head the Federal Reserve Board. News of this change came while President Reagan was heading to Venice, Italy for an Economic summit. The financial sector in Europe reacted to the news, much the same way Wall Street did; with a case of jitters. The Iran-Contra hearings were continuing with Assistant Secretary of State Eliot Abrams taking the stand again to testify regarding$10 million in funds solicited from the Sultan of Brunei. On this day he was busy denouncing the act, but . . . .he doth protest a bit too much. Another scandal on Capitol Hill. This one concerning Congressman Mario Biaggi, his son and five others, who were indicted on racketeering charges for helping the Wedtech Corporation get Pentagon business. The scandal was also looking in the direction of Edwin Meese and Lynn Nofziger as possible co-conspirators. Oh, the wonders never cease. And they certainly didn’t on this June 3rd in 1987 as provided by The CBS World News Roundup. The First Lady and Thai Dancers – credulity was strained. Not nearly as dire as the headline might indicate. 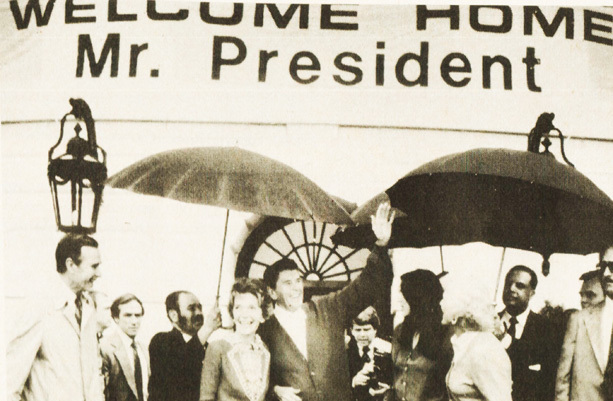 Still, May 2nd 1986 saw President Reagan arrive in Tokyo for talks with Prime Minister Nakasone, amid a police presence of some 30,000 and not a whole lot of fanfare over what many considered to be testy talks on Trade. 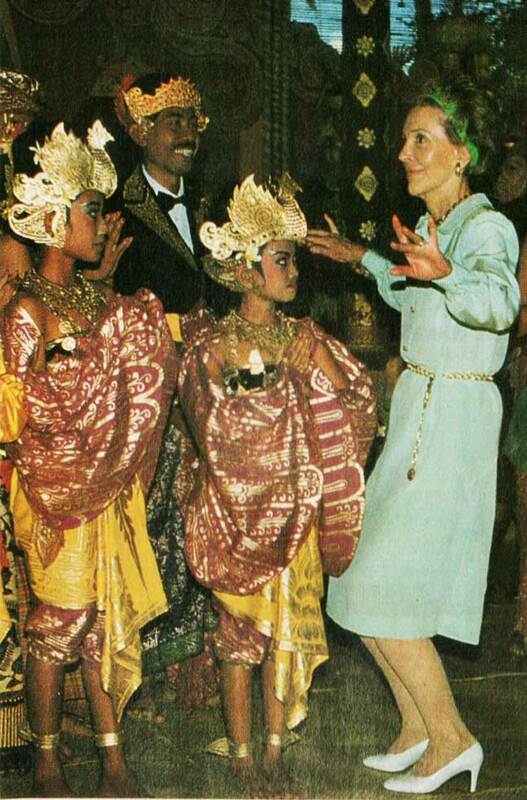 Meanwhile, First Lady Nancy Reagan was scouring Southeast Asia in search of support for her “Just Say No” drug pronunciamento. And all was not looking good for the aftermath of the Chernobyl Disaster, as radiation levels were hitting alarming spikes all over Europe, indicating those billowy white clouds, laden with radioactivity were inching Westward. And The Sanctuary Movement, a Methodist Church-based group pledged to help refugees from Central America land in the U.S. was slapped in the face with a wet, stinky towel by the Feds who said they were in the business of “smuggling illegal aliens”. Stiff sentences were handed down to the group of Priests and Nuns based on evidence gathered by a real-life smuggler who traded his stiff sentence for a pat on the head by infiltrating the group and turning over what was alleged to be “damning proof” this bunch were up to no good. And life lumbered on, with all this and more as reported by The CBS World News Roundup, this May 2nd, 1986. And the bump in popularity worked wonders too. Another busy day for news, this April 24th in 1981. President Reagan, recovering from wounds he received twenty-five days earlier from the assassination attempt, was eager to get back to work. He held his first informal cabinet meeting and was planning on an address to the nation in the coming days. Aides close to the President said he was trying to benefit from the big bump in his popularity numbers, capitalizing on the “John Wayne” image that emerged since the assassination attempt. In other news – Tensions were high in Northern Ireland as the hunger strike of Bobby Sands entered its 55th day. Rioting had subsided, due mostly to terrible weather, but a demonstration was being planned on the weekend by the IRA and fears of more rioting were mounting. In Lebanon tensions were uneasily easing as the 20th ceasefire entered its first week, with an eerie peace falling over Beirut. The upcoming elections in the Philippines were to be held without the participation of the opposition parties, claiming the Marcos regime refused to promise safeguards to guarantee clean and orderly elections. Instead, the Opposition urged Philippine people to boycott the elections. A year after some 100,000 Cuban refugees landed in Florida, some are still in U.S. prisons, mostly former Cuban prisoners, some 1700 who were freed by Castro to come to the U.S. Protests were lodged with the U.S. government that many of the prisoners didn’t constitute a menace to society. The DOJ was still trying to figure out what to do. A Mayoral candidate for Miami was gunned down and killed the previous night. The third killing of a Latin businessman in as many days. A stalemate was reached in the fiscal crisis over Boston Public schools with a Federal Court order to keep the schools open being readied and an appeal being countered before the day was over. A Senate Sub-committee continued hearings on a controversial Abortion bill that declares life begins at the moment of conception. Six women were ejected from the hearing and arrested the day before for disrupting proceedings, claiming only witnesses in favor of the bill were being allowed to testify. That, and a lot more went on, as reported via the CBS World News Roundup and Hourly Newscasts from April 24, 1981.